anyone who knows me truly, knows that i have an unnatural obsession with katsushika hokusai's epic print, the great wave of kanagawa. it was only recently that i buckled down and thought about why that might be? what is it about this picture that gets to me? in my recent prayer life, i have been asking God to "wreck me." my family and friends are all dumbfounded. who asks for that to happen to them? really. 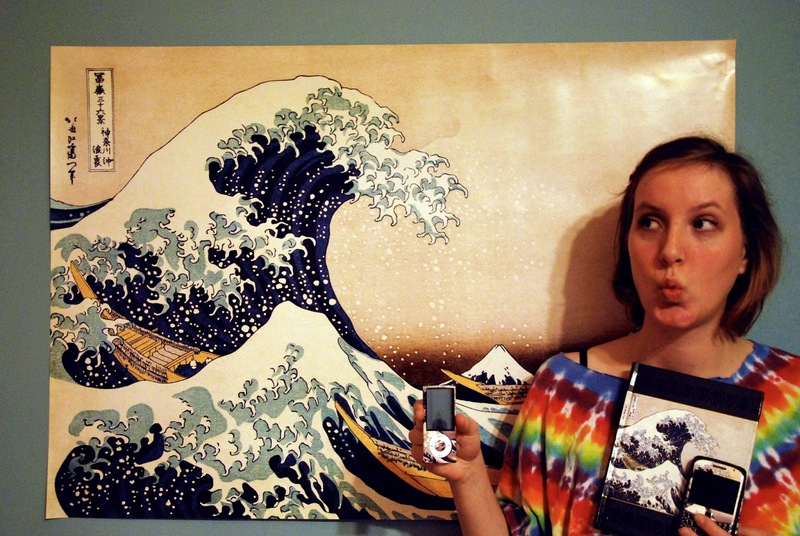 i think it has something to do with this great wave obsession. this desire to be wrecked by the waves of life is a cry to God to stir things up in me. change me, renew me, challenge me. with arms wide open in a sea of waves, i will wait upon the LORD.